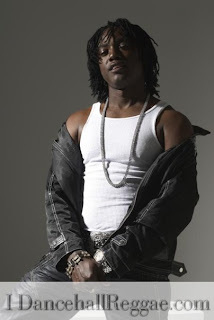 Caribbean Lifestyle Media-In prior reports we discussed Kiprich signing to Miami based label-Togetherness Records. Kiprich released his first single through this new deal, title "party time". Blueprint told us, KipRich whose correct name is Marlon Plunkett, was recently signed to the label and says, "The buzz was there a while back and now that we have released it, the response has been great. For this phase of my career I'm really trying something new and this song and the type of beats we used represents that. It mad, mad, mad. I'm really trying to explore different kinds of music and show people my talent and I hope. Quite a few Dancehall artistes have Trance/House/dance mixes. Dredarockstar recently did a remix of longing for by Jah Cure. Kiprich track follow this same trend with Party Time. Listen below.